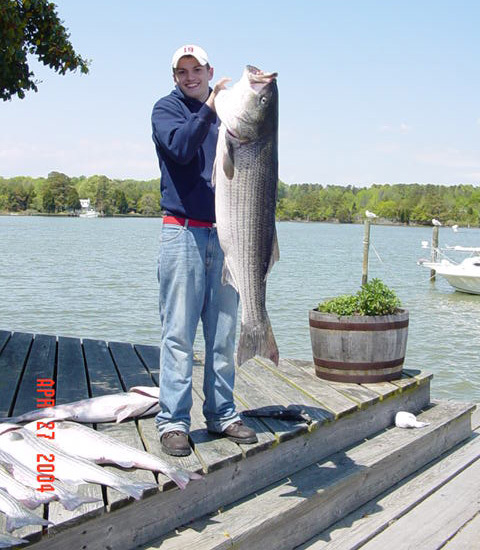 Chesapeake Bay Fishing with Capt. Butch Cornelius aboard the New 46 Ft North Star. 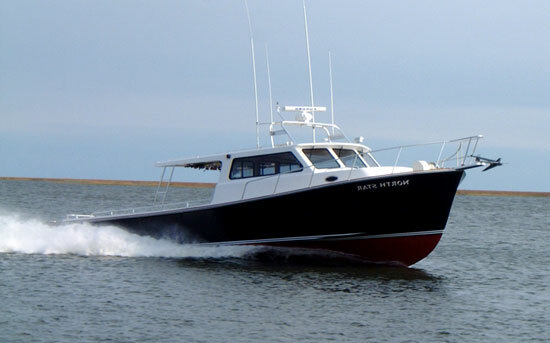 Southern Maryland sportfishing boat with plenty of room for large groups. 25 years experience fishing the bay. Full 8 hour charter. 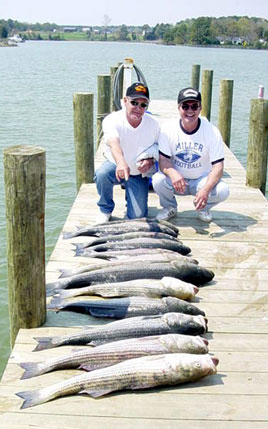 Rockfish, cobia, trout, crocker, tuna and bluefish. 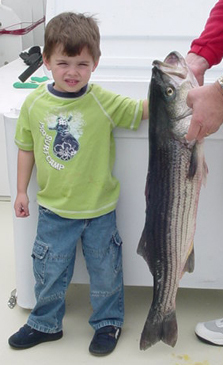 Captain Butch Cornelius has over 25 years experience as a commercial fisherman and charter boat captain. Captain John Guy has been a charter boat captain for over 25 years. 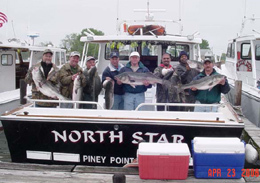 Chesapeake Bay Charter Fishing with Captain Butch Cornelius and Captain John Guy aboard the new 46 Ft, 2003 North Star. Plenty of room for large parties, ac, heat, large head and full galley. One of the nicest charter boats on the bay. She is Coast Guard Certified for up to 35 people. We will fish groups up to 25 people. With a crusing speed of 22 knots and a crew with over 25 years experience fishing the bay, we'll have you on top of the fish fast! We are located on St. Georges Island, close to historic Point Lookout in St. Mary's County, Maryland. Day and night trips are available. Trips last a full 8 hours. Rods, reels, bait, tackle and licenses are included. We also do tours and dinner cruises.